With these kinds of stats it is imperative that small businesses put their best foot forward on Facebook. In this blog we talk about different tools and strategies analyze your Facebook page performance, what you need to do in order to fix chinks in your armor and a brief about Facebook advertising options. 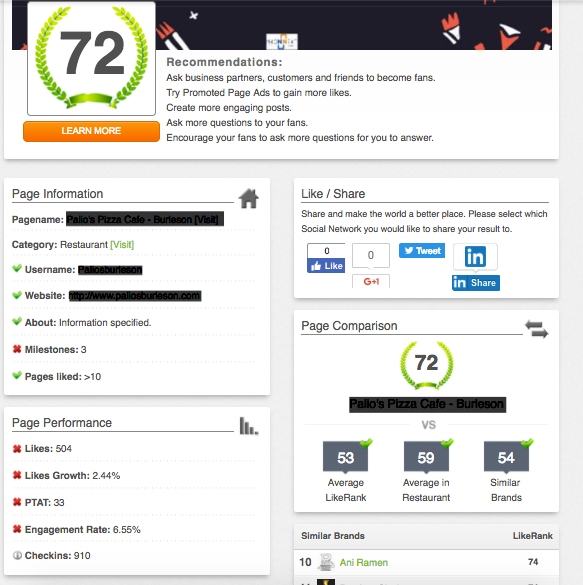 Analyze: Our go to tool to analyze is “Likealyzer” which examines your page on a scale of 100. It provides information about how your page is doing on multiple factors and provides insights into what kind of corrective action you can take in order to increase your score. Another cool feature about this tool is the statistics page which provides information about different pages in different categories across different countries. You can use this to find the best page in the same industry within the same country and see what aspects you can copy from that page. AgoraPulse Barometer: This requires you to login using your Facebook page and it provides your page performance based on your posts and compared against other pages in the tool database. The issue with this comparison is that it compares against all pages and is not restricted within the same category. AgoraPulse has some other free social media tools that you might find useful Social Bakers: A report comparing your page against your competitor would be sent to your email. The report analyzes page audience, audience growth as well as showcasing which content is effective from an engagement perspective but it generates only for a week. 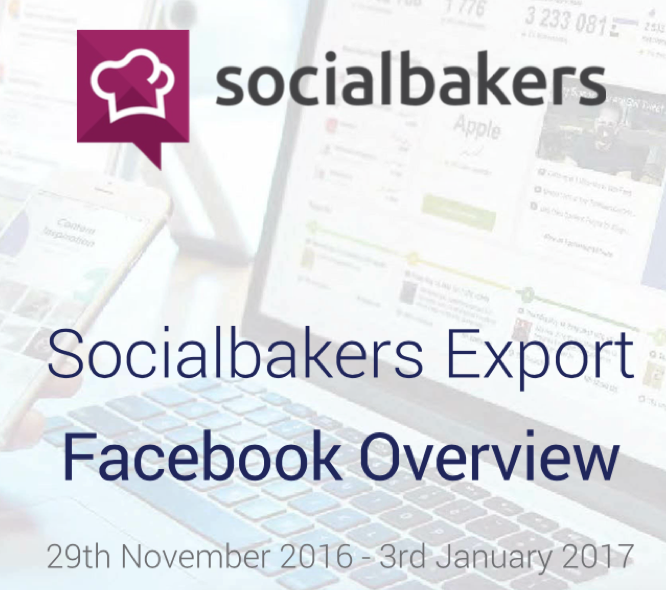 Apart from the Facebook page analysis there are a number of other free tools that SocialBakers provide. Advertising: With organic reach around 2% it is imperative that you have to spend some $$ on advertising on Facebook. Fortunately the impact of your ad dollars go a very long way given the fact that you can choose your target audience for your ads, set budgets and also analyze the effectiveness of your ads. Facebook provides you with a range of tools based on your objective of running a campaign including calculating the effectiveness of these campaigns on the footfall into your business. The below screenshot gives you an idea about how you can effectively plan your advertising campaigns and what kind of tools that Facebook has to offer you. 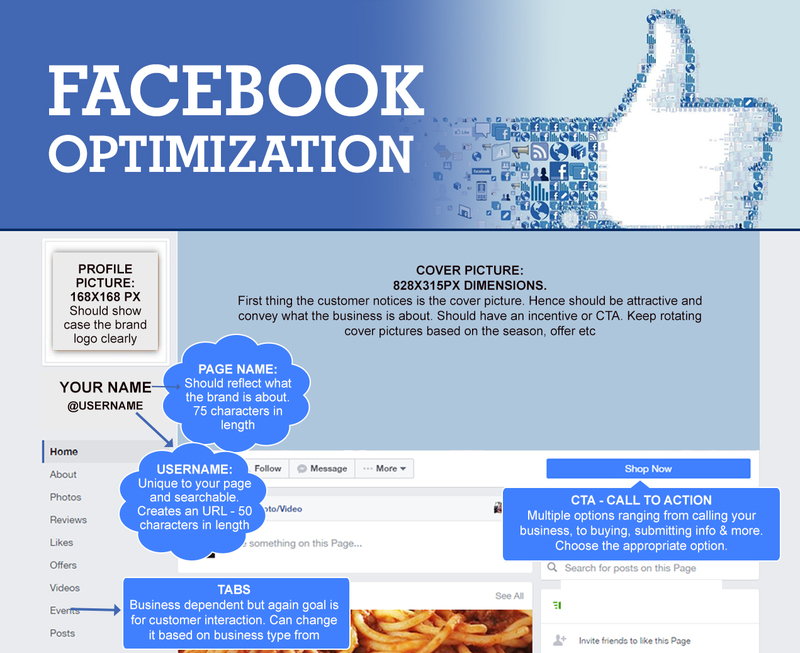 By following the above strategies your Facebook page should be seeing a marked improvement. Do let us know if you have adopted any other strategies that worked for your page and how you have monitored the success.